Forensic librarian Aimee Machado has a new title: Director of Ethical Affairs. At other hospitals this position might be dull: not at Timbergate Medical Center in Northern California. Armed with impressive jujitsu skills, Aimee breaks up a fist fight during a meeting and soon finds herself embroiled in yet another murder investigation. Dr. Gavin Lowe, one of the combatants in the dust-up, is found shot dead in the office of his adversary, Aimee’s boss Jared Quinn. The security cameras did not detect the killer coming or going. Were they tampered with? The police believe Quinn did the deed, but Aimee is unconvinced. She was present when the two men made their peace; unfortunately, there were no other witnesses. Is Aimee a suspect? At the time of his death, Dr. Lowe was treating ten-year-old piano prodigy Natasha Korba for appendicitis and malnutrition, a byproduct of her stepfather Abel Gailworth’s cult of veganism. Natasha’s grandfather Hector Korba, president of the hospital’s governing board, is fighting for custody. Was the killing prompted by the custody battle? Or did Dr. Lowe’s wandering eye seal his fate? Aimee’s on-and-off-again boyfriend Nick, her friend Cleo, and her charming brother Harry are on hand to help uncover the truth. What they discover only poses more questions. Meanwhile the killer is fully aware of their investigations, once again putting Aimee in mortal danger. 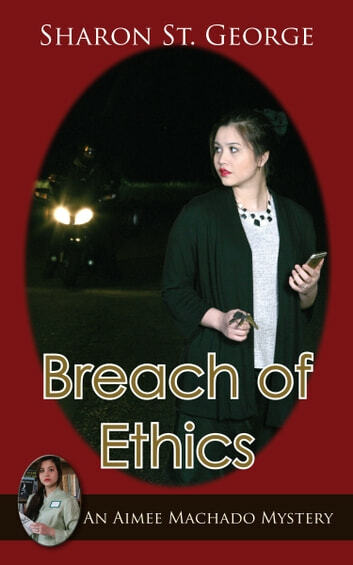 Book 3 of the Aimee Machado Mystery series, which began with Due for Discard. So You’Re Still Having a Bad Day?